Polaris Office is a free office software to view, edit and share Microsoft Office compatible documents on Windows, Android and iOS. It gives you access to all types of Microsoft Office and PDF documents with full feature functionality. Anytime, anywhere, you can easily view and edit various kinds of documents such as Microsoft Word, Excel, PowerPoint, Adobe PDF, with only several tabs, and organize your data fast and do your presentation excellently. All files saved in Polaris Office are synchronized with other connected devices, and thus documents are automatically updated to the latest version. It also allows you to connect to your favorite cloud storage services such as Box.net, Dropbox, Google Drive, OneDrive, etc. Moreover, Polaris Office has an agent program that allows uploading and downloading documents from a desktop computer to a mobile device. View, edit and share your document from any device: PC, Tablet or Smartphone. Your documents are synchronized on all your devices. Check your most updated documents and continue working from anywhere. 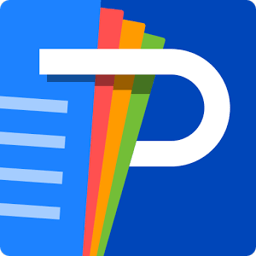 Convert documents to PDF on your smartphone or tablet. Make important notes in PDF documents as easily as writing them on paper. View PDFs on your mobile devices anytime once they have been converted. Organize important content with Pen and Pointer features and make outstanding presentations. Easily share documents via URL (email, instant messaging, Facebook, Twitter) and view up-to-date shared documents. Supported Languages: English, French, German, Spanish, Russian, Italian, Portuguese, Hebrew, Arabic, Korean, Japanese, Simplified Chinese, Traditional Chinese.